Download current, printable wine notes here. Winemaking: Primary fermentation is seven days, followed by a 21-day maceration. The juice is pumped over and the cap manually punched down four times a day. Malolactic fermentation in barrels. Matured in 85% French and 15% American oak barrels for 18 months, and then for a further 12 months in bottle before release. 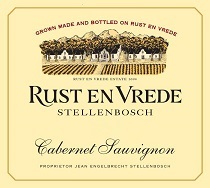 Winemaking: The Cabernet Sauvignon and Shiraz clones are vinified separately. Primary fermentation is seven days, followed by a 21-day maceration. The juice is pumped over and the cap manually punched down four times a day. Malolactic fermentation in barrels. Matured in 75% French and 25% American oak barrels for 18 months, and then for a further 18 months in the bottle before release. Winemaking: Primary fermentation is seven days, followed by a 14-to-21-day maceration. Matured for 18 months in oak barrels, then for a further nine months in bottle before release. Winemaking: Primary fermentation is seven days, followed by a 14-day maceration. Matured for 14 months in French oak barrels. As Jean Engelbrecht gained knowledge and an understanding of Californian wine, and in particular those from Napa, he was drawn to the wines of Silver Oak Cellars, their philosophy and the focused way they ran their operation. Inevitably Jean met Ray Duncan, proprietor of Silver Oak. A friendship was formed, which included visits to both continents, a decision was made to produce a wine together. 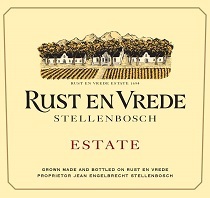 As the wine was to be produced in South Africa, it was a natural decision to produce a Syrah. 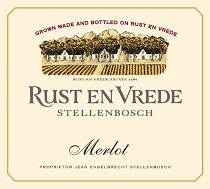 The maiden vintage of this wine was in 2003. 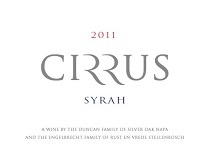 Cirrus Syrah is the expression of the long-term view between two families that believe wine, above all, should bring people together. Winemaking: Made in typical Côte-Rôtie style, and matured for 18 months in a combination of new French and American oak barrels.